1 of 1 In a large bowl, whisk together 1/2 cup mayonnaise, 2 tsp each olive oil and lemon juice, and 1/8 tsp each Old Bay Seasoning, salt and black pepper. 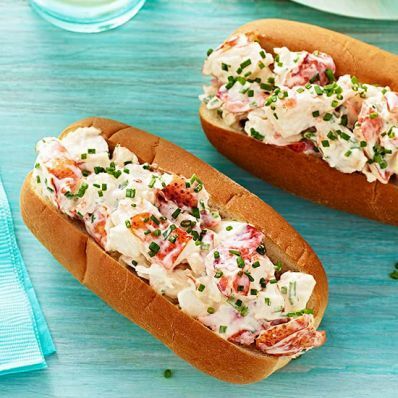 Gently fold in 2 cups coarsely chopped lobster (from 2 steamed tails) and 2 tbsp snipped chives. Spoon mixture into 4 top-loading rolls. Garnish with additional chives.